The 2017 Hanoi Plas Print Pack. The biennial event will this year be held at the Hanoi International Exhibition Centre from April 24 to 27. — Photo courtesy of organisers. 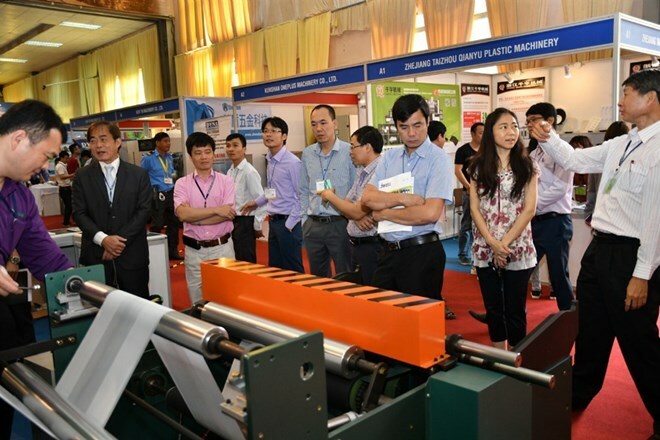 HCM City (VNA) - The 2019 Hanoi Plas Print Pack, a biennial international exhibition on the plastic, print and packaging industry, will be held in Hanoi from April 24 to 27 with 50 percent more exhibitors than last time. The 10th edition has attracted 180 exhibitors from 10 countries and territories – India, Taiwan, the Netherlands, the Republic of Korea, Hong Kong, Malaysia, Japan, Singapore, China, and Vietnam. According to Mordor Intelligence Research, the compounded annual growth rate of the Vietnamese plastics market will be 6.63 percent in 2018-23, with the largest driving force being injection molding, which is used to produce thin-walled plastic parts such as household appliances, household electronics and automobile control panels. To be organised by the Vietnam National Trade Fair and Advertising Company (Vinexad), Yorkers Trade and Marketing Service Co Ltd and the Vietnam Plastics Association, the exhibition will be held at the Hanoi International Exhibition Centre.